I’ve decided to combine Saturday and Sunday’s entries, mostly because I really didn’t go to sleep until about 7:30am this morning and got up around 11:30am. Someone posed the question the other day, “When you recognize the start of a new day? At midnight, or when you get up, or at dawn with the rising sun?” I’m pretty sure everyone in that group was aware that technically the next day starts at 12:00am, or midnight. But what this dude was asking was when do we practically recognize the start of a new day. Most people answered with the rising sun, or some semi-complex calculation of when you go to bed and how long you’ve slept. There were attempts to distinguish between naps and sleep that led to the next day. It was an interesting conversation. This morning, when I went to bed around 7:30am, I still felt it was Saturday night. It was still sort of dark and I hadn’t begun my planned tasks for Sunday. Which weren’t much: setting my fantasy football rosters, cooking breakfast, watching football, writing, taking a picture of myself for Mustaches vs. Cancer, and of course writing this diary. Growing a mustache is much like the start of new a day. It is something to measure progress with, advancement, or simply the passage of time. Of course things aren’t always so simple. But it is interesting to watch your own visage change daily. Well maybe every few days. We are not often privileged to witness such change in ourselves simply because most of us look at ourselves each and everyday. We’ll gain 10 pounds but only notice it suddenly, when all 10 pounds are there, as we catch a glimpse in the mirror. We are suddenly horrified. Where did this weight come from? 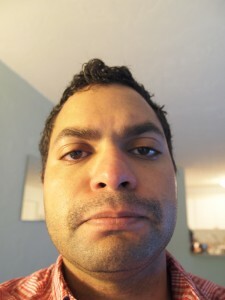 Perhaps the comforting thing about witnessing the change associated with growing a mustache is that it is constant. Never surprising. I examine it each day, sometimes I notice, sometimes I don’t, but I’m never surprised. Except for those time I catch my reflection in a store window while walking down the street. I suddenly remember how ridiculous I look. My mental self-projection is always a little behind the times. You can donate to Kiren’s mustache and help cure kids with cancer by going to Mustaches vs. Cancer and searching for Mr. Killstache. 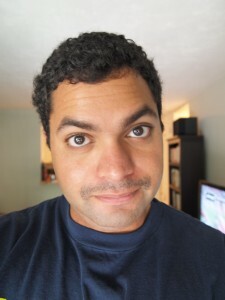 It’s a scientific fact that Kiren’s mustache grows better with multiple and frequent donations.